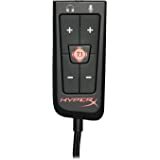 Amazon's Choice for "hyperx cloud earbuds"
Sold by MILLSO US and ships from Amazon Fulfillment. 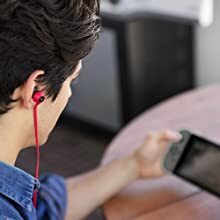 HyperX Cloud Earbuds™ are ideal for the Nintendo Switch™ gamer who enjoys taking their game outside. 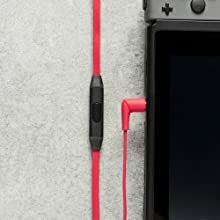 With a 90-degree angled plug, the rubberized, tangle-free cable makes a less obtrusive connection optimized for handheld mode, and the included carrying case is perfect for portability and secure storage. Easily communicate with your squad in Fortnite and other Switch games that use in-game chat and get an edge in your execution and enjoyment. Cloud Earbuds come with three sizes of silicone ear tips to provide signature HyperX comfort, making them great for lengthy gaming sessions. Get immersive audio thanks to the earbuds’ enhanced bass, and crystal-clear highs, mids, and lows. 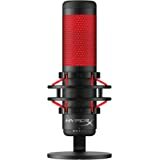 The slim, convenient in-line mic has a multi-function button that easily allows you to answer calls;¹ control your streaming media. I work in the broadcasting industry, and collecting earbuds and headphones (which ARE different, by the way) is one of my hobbies, and after nearly 28 years in the business, I am pretty well familiar with what sounds good and what sounds okay and what stinks. These fall in the middle category of "okay" as far as audio quality goes. 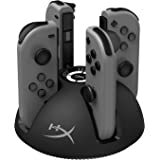 For gaming, it works great, but if you buy them for the sole purpose of listening to music, you have many other choices which are better in my opinion. In fact, for the price, I'd be hard pressed to buy these at all. 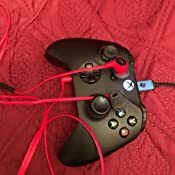 They are being sold as gaming earbuds, which is a definite niche market, but almost any pair of earbuds you can use with your smartphone to listen and talk with will do essentially everything these can do. They don't really offer anything different than you can find in earbuds for half the price. They come with a few different sizing silicone buds, but I found that none really offered the fit I was hoping for. That is the biggest issue I have with earbuds is that one size does NOT fit all, or even most in many cases. I usually don't have much of a problem, but some designs work better than others, it's just a fact...and these are a brand that falls into the so-so category as far as decent fit goes...but keep in mind everyone's ears are different and could very well fit you perfectly. Sorry, I wish I could give you more on this, but that's just the way it is. Audio quality is somewhere in the middle. Not great on the highs and definitely sub-par on the lows, although I have definitely heard much worse for the price. This is a very subjective area I've come to understand over the years. 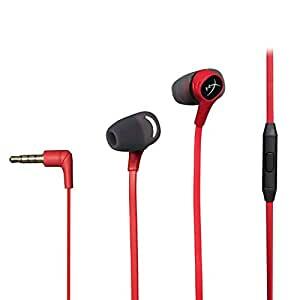 Some companies consistently offer quality audio at every price point, and some can have economical earbuds and headphones that are just plain lame, but spend more and you can get superior quality (Sony is one example who does this) so your experience may vary. I've tried everything across the board, from the expensive (Master & Dynamic) to the above average but brilliant audio reproduction in the Sony Professional MDR-7506's to great quality from a cheaply made set of cans...hundreds of kinds over my years in the business. The one thing virtually everyone in broadcasting can agree on is this: "Beats by Dre are a colossal waste of money. Everything else is subject to personal preference." I have seen many who claim these earbuds sound great--and to them, it probably does. 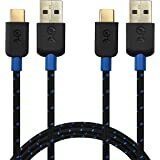 To someone like me who listens to audio for a living, I would never put these in the same class as my Sony Professionals. That's why its all so subjective. It's important to do your research first before spending your hard-earned money, which is why these reviews are so convenient here at amazon. Buy what works for YOU and don't let anyone tell you different. Good luck and hope my review helped in some, small manner. 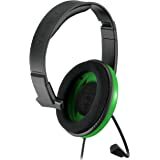 - Great sound quality. I can hear the cars swift by when playing Mario Kart. The bass is good too! 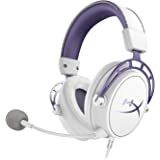 - I game with these for 3 hours and my ears felt comfortable the entire time. The earbuds are super soft! 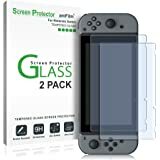 - The carrying case is key and easy to transport when traveling. 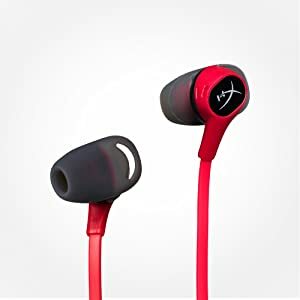 5.0 out of 5 starsComfortable, good sound, Worth-it buy. These are the most comfortable earbud-style headphones I’ve ever used. 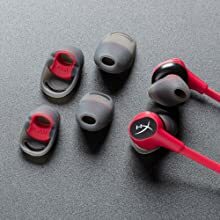 They come with three sizes of earbud cover to adjust to your own inner ear size. 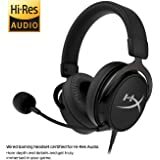 I’m no audiophile, so I can’t speak of the sound quality much other than it seems great to me. There’s not really a lot of noise canceling, but they do dampen external noise a bit. I’m a very light sleeper, and I use these at night to play sleep music/rain sounds, and it’s enough to mask most of the sounds that bother me at night. Most importantly, in the morning, my ears aren’t sore from wearing uncomfortable earbuds! Worth-it buy. Without a doubt the item is comfortable but when I used this item as a mic it was a real problem. People on the receiving end said it sounded staticky and muffled. 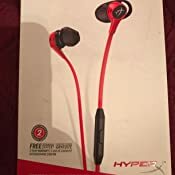 4.0 out of 5 starsGood headphones. Not a great fit. 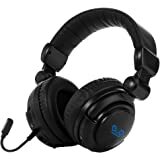 I love these headphones and they have great sound quality. I’ve used them both for my PS4 playing games where sound is important like R6 Siege, and I’ve used them for listing to music. They’re great but the fit in my ear is horrible, they do not stay in my ear I’ve tried all three deferent sized tips, I’ve even looped the cable over my ear. But every persons ear is deferent and it doesn’t take away from the sound quality. 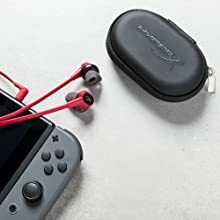 I bought these strictly for my Nintendo Switch and I am beyond impressed by the sound quality and comfort! If you’re an audiophile and want to use these for both gaming and music I wouldn’t recommend these since the highs and lows when listening to music are not as good. 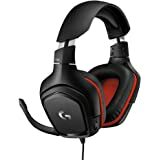 But if you are looking for good gaming headphones specially for the switch these are the best ones to get! 2.0 out of 5 starsOuch. Works fine. Good mic. Ok sound. But even the smallest ear bud attachments KILL your ears. They used a rubber or silicone that isn't soft enough. Ears hurt after 10 minutes of use. They are also not noise canceling earbuds so not very effective at, say, hearing enemy footsteps in-game.